Photography is of multiple types. Different types of photography are needed by different types of people and different types of industries. Photographers are making a huge amount of money by their photography and introducing them to the world. Product photography has become very popular now-a-days. Since people are highly influenced by e-commerce these days and people are more habituated shopping online, product photographs are widely used to get the customers attracted and convince to consume the products from the website online. So, product photography has become very popular for e-commerce websites. Professional product photographs work very well to attract the customers to buy the products. It is a great chance for photographers to earn money by product photography and selling them online or in any other ways. 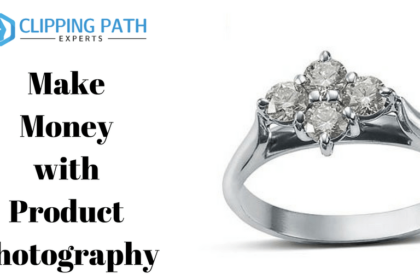 To make money by product photography, you need to follow some effective tips and tricks which will lead you to make money with product photography. Now-a-days, clicking photos is not all. After clicking the product photos, you need to go for post procession. 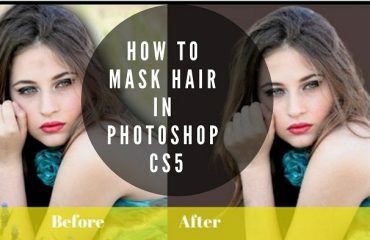 If you do not find the raw photos much convincing, you can edit your photos to enhance the beauty of your product photos by going through different types of image editing services. For example, a product photograph of yours is not looking good at all for a cheap looking background. You can change or remove the background very efficiently by using Clipping Path Service which helps you to remove the background. There are many other image editing services which you can get while editing the product photo to make them look attractive. A lot of image editing service companies are providing their services from different countries. So, you can contact with any of the image editing service companies to get your desired image editing service. You need to invest after a high definition DSLR/Professional camera and lenses to get quality product images. Camera and lenses mean a lot when it comes to any kind of photography. You cannot provide a high-quality photograph without using a high-definition camera and quality lenses. There are many updated cameras and lenses available in the market, which will get you high-quality photographs. Canon and Nikon are two brands which are highly influential in the photography industry. These cameras are also popular for their functions and settings. Clicking product photos by these cameras can give you a proper and professional product photograph. If the camera is in high definition, the product photographs will also be of high quality. Hence, you can make money by selling those high-quality product photographs. While product photography, you need to be careful about few things. The background of a product image means a lot. A background can enhance the quality of the photo or it may also ruin the entire photo if it is not suitable for the product. So you need to choose a background which suits and compliments your main object. The white box is the best option for clicking a product photograph. A white box is a white color square box. It gives a product a superb white background which highlights the product. You can get a white box easily in the market or you can make it at home. There are white boxes available in the market which is also having lighting systems inside the box. On the other hand, a proper lighting in product photography is very important to make the product photo look better. You can hire a set of lightings while shooting for product photography. Lightings bring a life to the product photo and make it look better. These things really make the product photo beautiful and presentable so that you can showcase them outside and make them sell and make money. When you are done with a shooting of your product photography and post-processing; now you have to show them in the outer world. Online Social Media is the best way to showcase everything (especially the photos) which may give you recognition. There are many social media like Facebook, Twitter, Instagram and many others which give you the opportunity to upload your views and photos. You can share your product photos on these social media and attract the people out there and can get clients. You will get feedbacks after showcasing the photos which leads you to get clients and you can make money through that. Photographers create their photography pages containing the portfolio and the prices. 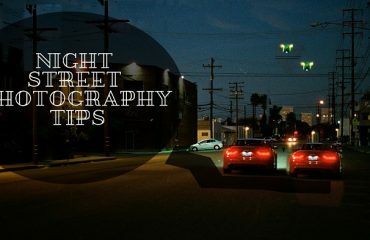 It helps people to get know about them and their photography and give them an idea if they want to pursue. So it can be an easy way to get customers and making a huge amount of money. If you want to make money by your product photography, one thing that must help you is creating your own website. When you have plenty of product photographs, create a website of your own. The website must be user-friendly. Upload different types of product photos on the website so that people can get engaged with your website. Keep a comment box for getting the feedback of the people. You must add your contact information to the website which will help the people to communicate with you. You should definitely include the packages, prices and payment method to the website so that the viewers/customers can get a clear picture of your photography and of your website. You can get another advantage from your website; it is that your website can get a high rank on Google if the engagement on your website is higher. It will help you to make you famous and to get more clients. Blogging is very popular among every group of ages in recent time. People around the world get more interesting reading about everything. But a blog can be either written contents or photo blogging. What you need to do is, go to different photography blogs and write your views or share your product photos to the blogs. You will get a huge amount of engagement by which you may get clients and make money. You can also create your own blogging page writing effective contents just to sell your photography and building links with the clients you want to have. This is a very effective medium to make you recognizable. Photo contests are a great platform for new product photographers to get recognition and make money. There are many social media or photo websites which help photo contests at different times. Whoever wins this photo contest gets rewards like contract with some company or money or fame. Even if you do not win the contest, you can get clients from their cause there might be liker’s of your product photographs too. You have to put your best foot forward and upload the best product photo if it is the product photography contest. Photo contests changed the life of many successful photographers who are famous now-a-days. If you have enough money and want to get clients and making money easily, you have to invest a bit. You can create ads and post them on different websites and social mediums. Ads are working effectively to attract the customers in a high margin. E-mail marketing may sound new and strange. But it is very effective when it comes to getting customers and making money. You have to look at different product company websites and collect e-mails. Compose a written email attaching your contact and portfolio to with the email and send them. This might work very well to get your clients and make a huge amount of money through that. Sometimes it is easier to get clients through your friends and the people you know. Contact to your friends and known people who need product photography or ask them if any of their known people need product photography. Give them a portfolio of your works in case they want to see your works. This can help you to get benefitted and can help you to get more works. Online stock photo websites/agencies are increasing in a high number now-a-days. On these stock photo websites, photographers upload the photos for getting their photos sold. There are a number of people who buy their desired photos from the stock photo websites online. Before uploading a photo on the websites, you need to keep the copyright sale rights. It is your choice if you want to keep the copyright or sell them along with the photo. Choose the best stock photo agency/website to sell your photo. Choosing a wrong website might not get that to work. After choosing an agency, you have to register and make your own account on the website. Check their requirements and upload the suited photo which has high chances to get selected. There are few Stock Photo Agencies/Websites which are very popular and the photographers get their pictures sold easily by sharing them on these websites. Here are 5 best Stock Photo Websites which are selling great product stock photographs. Alamy is one of the best stock photo websites which has a high scope for product photographers to sell their photographs and make money. It has around 110 million stock images along with videos. You can sell the images without facing any difficulties. This is another awesome and the most popular stock photo websites in the world. It is very much wanted among the photographers. You can earn a lot of money from Shutterstock. The more people download your image, the more money you will get. Around 161 million free images are there in Shutterstock. This is a great Earning source for the photographers. Getty Images is a great stock photo agency which is working with free images. The entry process of getty images is slightly different than other websites. But the payoffs are usually higher than other websites when the photos are downloaded by the people. 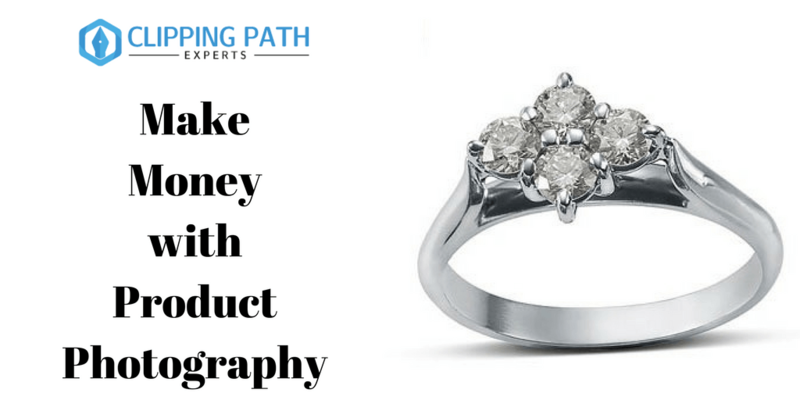 Many product photographers are earning a large amount of money by getty images. It is also a popular stock photo website used by many product photographers. You need to register for the website before entering into the site and uploading your photos. Though it is a small website, it holds a good position in micro stock agencies. Istockphoto is a very well known stock photo agency in the industry and one of the leading companies. They have the high-quality photographs and they give a chance to the photographers to earn a lot of money by uploading their high-quality photos. You can upload bigger size photos in istockphoto for which you will get paid for each download. It has royalty-free photos and videos too. Selling product photographs online sometime becomes very painful if the photographer does not know which way he/she should go on. It is not everyone’s cup of tea to get their photos sold and makes good money. 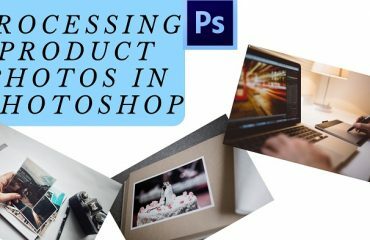 So, the points we have just discussed above might help you to choose the right path to showcase your product photographs and selling them online to get profit through those photos.